Dean Butler is the new Executive Head Chef at The Fitzwilliam Belfast, taking up his position in May this year. 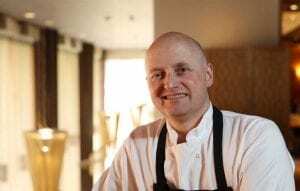 He describes his style as classical but modern, which he developed while studying culinary arts at Portrush Catering College on the north coast of Ireland and afterwards while training in a renowned 5 star Hotel in London. Dean is an advocate for sourcing amazing quality produce from the top suppliers in Northern Ireland, which is reflected in his innovative dishes which are representative of the quality local food that is available. Throughout his career, Dean has earned the coveted title of the Institute of Hospitality’s ‘Chef of the Year’ not once, but twice, and his delicious and inventive dishes are not to be missed.